You love animals, which is why you want to be sure your hamster will get along with your other pets before you bring hammy home. Is a cat going to think your hamster is a plaything? If you have another hamster, can the two of them live together harmoniously? We’ve done some research to give you the answers. Unless your cat, dog, or other pet is very young and adaptable when you bring your hamster home, the two pets should not coexist. Keep them in separate rooms for the safety of your hamster. 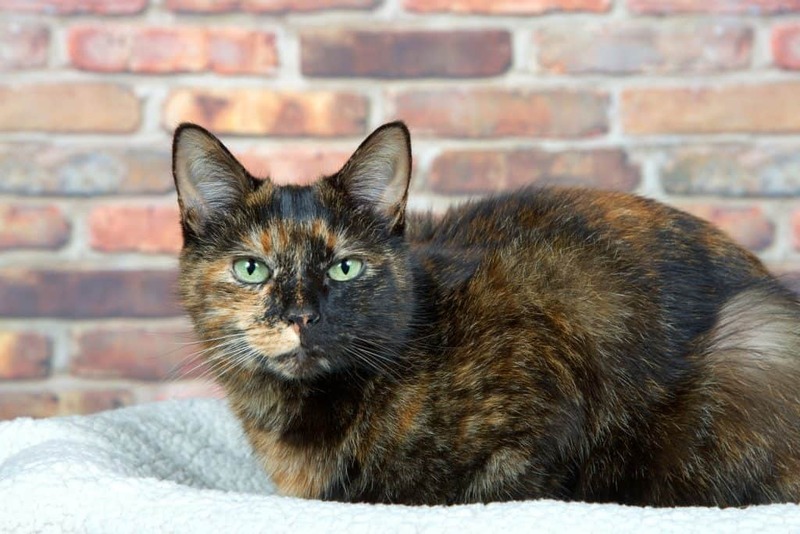 What if you have more untraditional pets such as turtles, birds, or gerbils? What’s the protocol there? 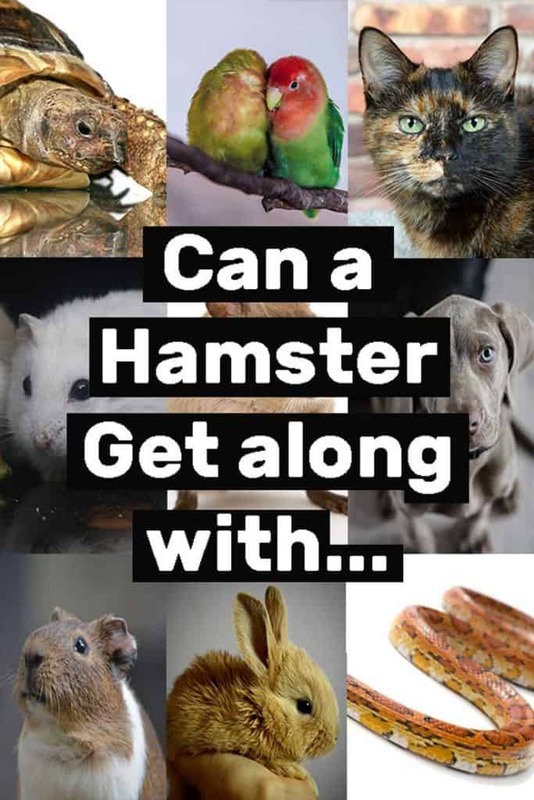 Read on, as we’ll explain whether hamsters can get along with these animals as well. Can a Hamster Get Along with Another Hamster? Does your first hamster want a roommate? It all depends on the species. Dwarf hamsters are generally congenial with other hamsters, but even that varies. Campbell’s dwarves, Robos, and winter whites will live with another hamster without incident. It’s important the second hamster is either a fixed female or another male, though. Chinese dwarf hamsters will not take too kindly to company. The same is true of the teddy bear or Syrian hamsters. Regardless of gender, putting two Syrian hamsters together will often result in violence. If you do want your two hamsters to live together, it’s best to introduce a second hammy to your first one when both are eight weeks old or younger. It’s easier to adapt to changes at this young age. 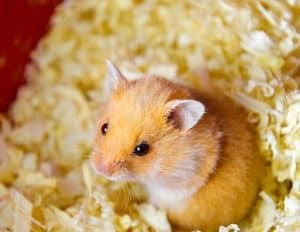 Even the generally friendly dwarf hamster will not want a second animal in their cage once they’re more than a year old. There’s a small window of opportunity then that you must take advantage of. Can a Hamster Get Along with a Cat? Cats have sharp claws and pointy teeth, not to mention they’re far bigger than the average hamster. Even a well-natured kitty should be kept away from your hamster just to be on the safe side. Make sure your hammy’s cage is in a secure environment if you have a cat in the house. The door or lid of the cage should always be completely closed and locked if possible. Never put the hamster cage on the floor, since that’s easily accessible to your cat. A corner area is best, but make sure the cat can’t jump up there. When the time comes to give hammy some exercise in a plastic ball, keep kitty out of the room. Otherwise, disaster could strike. The only exception is if your cat is very young. You could try to acclimate your cat to your new hamster by keeping the two in the same room while hammy plays in their ball. The minute your cat starts to chase or bat at the plastic exercise ball, it’s game over. Your cat has to be removed and kept away from your hamster for their sake. Can a Hamster Get Along with a Dog? 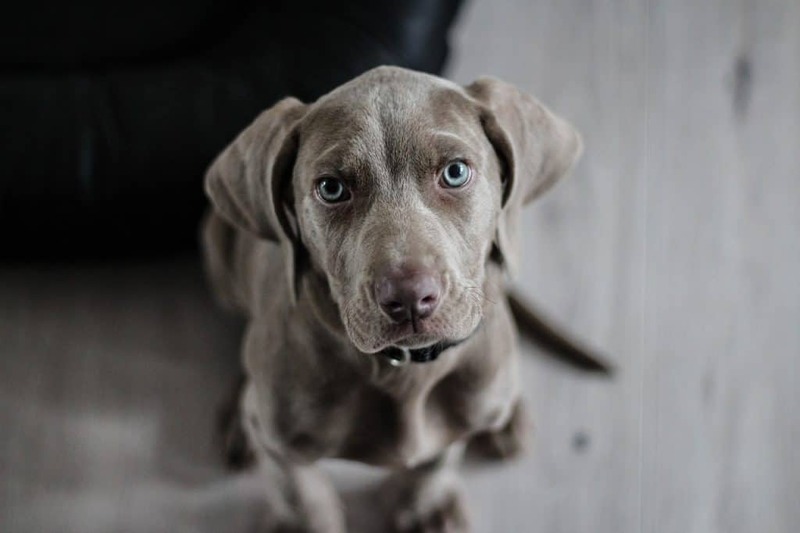 Dogs have a reputation for being nicer animals than cats, at least most of the time. That might lull you into a false sense of security that it’s okay to add a hamster to a household with dogs. It can work, but the two pets will not be friends. If you bring a hammy home and you already have a dog, then it’s important to place the cage high up where your canine can’t see it. You’ll also have to spend some extra time training your dog to bark less, or at least not around the hamster. This can irritate their sensitive hearing and stress out your hammy. Like with a cat, don’t let your dog be in the same room as your hamster when you put hammy in their exercise ball. While you could attempt acclimation with a younger dog and a hamster, it’s generally better to keep the two animals apart. Can a Hamster Get Along with Other Pets? Let’s take a quick look at how hamsters mix with the less common kinds of pets. Can a Hamster Get Along with a Turtle? Since your hamster and your turtle will both be kept in their respective enclosures, there’s little chance of them interacting. If you let your turtle have free roam of the house at times, then don’t let them out at the same time you give hammy playtime in their exercise ball. Also, it’s not recommended you ever keep turtles and hamsters in the same enclosure. 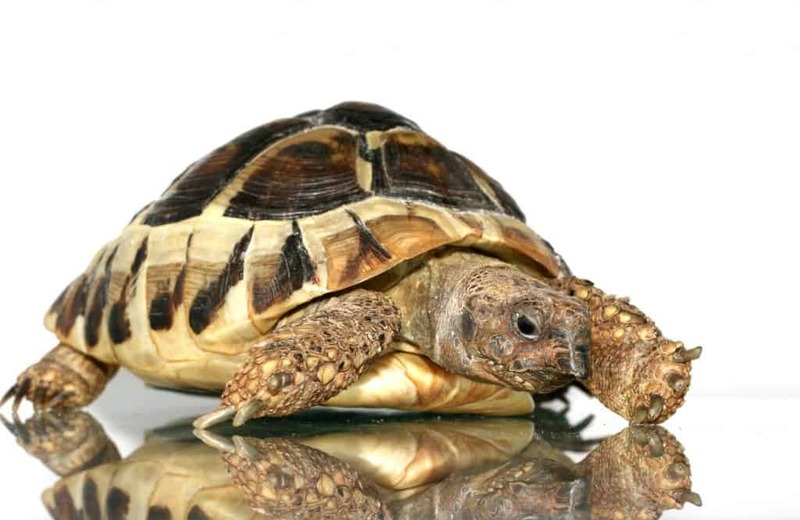 Many turtles require several inches of water in their enclosures for swimming and eating, and hamsters and water do not mix. Even if you own a tortoise, these creatures require high temperatures (more than 80 degrees Fahrenheit sometimes) in their cages from heat lamps. A hamster would not be able to live in that environment. They’re better-suited to room temperature enclosures. Can a Hamster Get Along with a Rabbit? 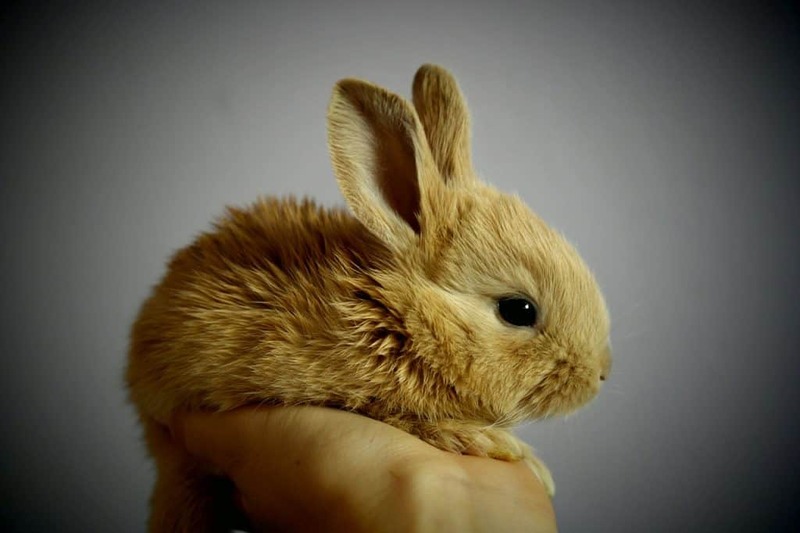 Two rabbits won’t necessarily get along with each other, so why bring a hamster into the fray? Although everyone thinks of them as adorable balls of fluff, rabbits have a very territorial side. If another animal gets close to what they believe is their space, a rabbit will not hesitate to attack. Given that rabbits are several times larger than most hamsters, a single fight could be deadly for your hammy. In short, keep both animals in their own homes. Don’t let your rabbit out if your hamster is running around and vice-versa. Can a Hamster Get Along with a Gerbil? 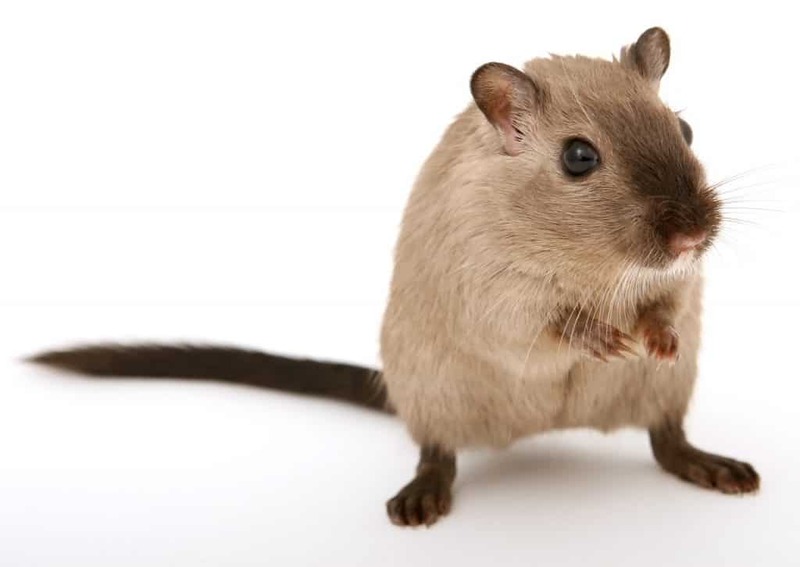 A gerbil is a mouse-like creature that’s even smaller than most hamster species. While gerbils do not like to be alone, it’s much better to put them with other gerbils than a hamster. In this instance, you don’t have to worry about the health of your hammy so much as you do the gerbil. Chances are, when confronted with a new visitor in their enclosure, the hamster will try to attack the gerbil. The gerbil might fight back, slightly injuring your hammy, but that’s the extent of your hamster’s risk. For the gerbil’s health, keep it away from a hamster. Can a Hamster Get Along with a Guinea Pig? Guinea pigs need a large enclosure while hamsters do not. Both animals have a territorial streak likely to lead to violence and injuries. Guinea pigs prefer to live with other guinea pigs while many hamsters like to live alone. Although they can be bigger, guinea pigs are more timid and less likely to attack than hamsters are. Guinea pigs are awake during the day and sleep at night. As you know, hamsters are nocturnal. The two animals have the opposite schedule then and would keep one another awake. 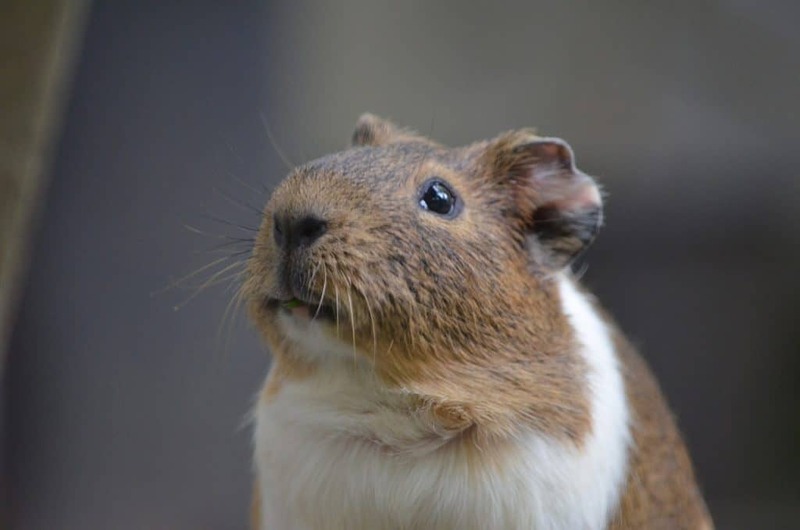 Just like with a gerbil, your guinea pig is at a higher risk of injury from a hamster attack. These two cute animals do not work together. Can a Hamster Get Along with a Snake? Given that snakes eat mice and other rodents, you should never let a snake and a hamster be in the same room together. This is especially true of diamondback rattlesnakes, as they eat wild hamsters and wouldn’t hesitate to chow down on a domesticated one as well. Since we know you’re a hamster lover, we’d caution you against getting a snake as a pet altogether. This can potentially be a very dangerous decision. 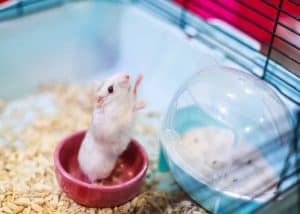 If you already have a snake and now own a hamster and can’t rehome one of the animals, then keep the two as far away from each other as possible. Certainly never put their enclosures in the same room. 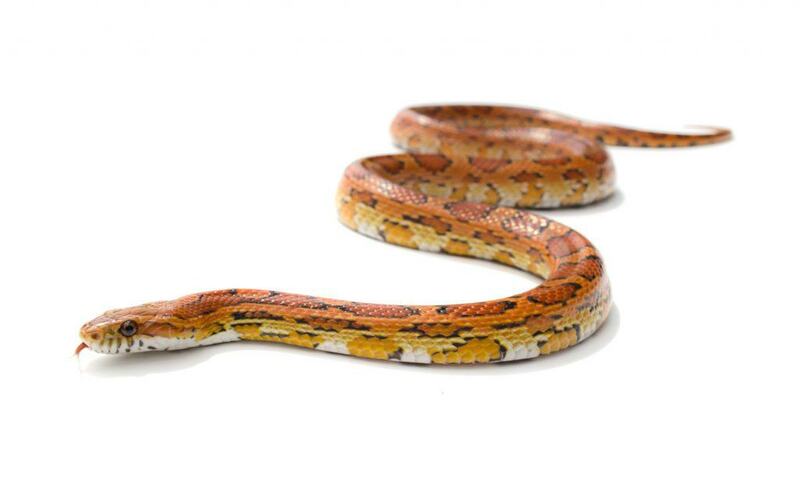 Your hamster will be able to smell and hear the snake and it could cause them immense stress. 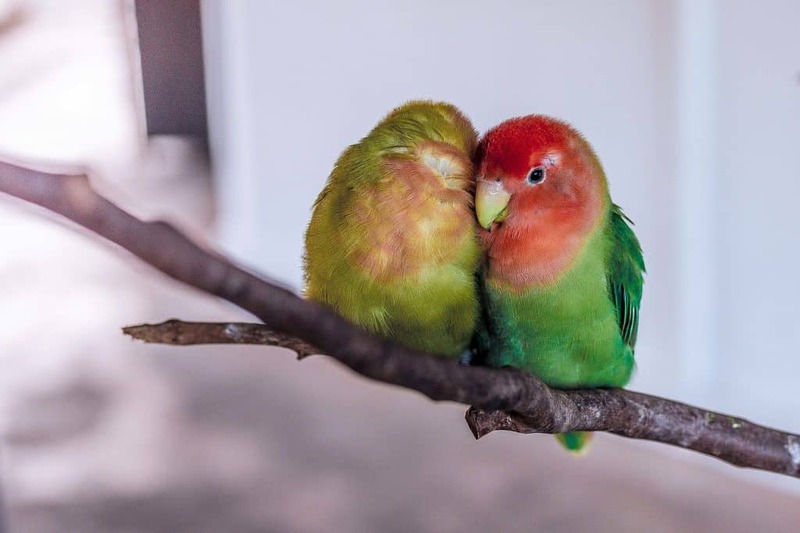 Can a Hamster Get Along with a Bird? Birds and hamsters do not get along either. Both are very territorial animals that have the tendency to attack when threatened. They could cause serious damage to each other if they were in a fight. Also, if your hamster is small enough, there’s a chance your bird could grab it and fly away with it. Just like with most animals, if you already own a bird and you’re bringing a hamster into the home, keep the two unaware of each other. Put the hamster enclosure in a totally different room than your bird cage. Don’t let your bird out when your hamster is running in their ball. If you let your bird out of its cage from time to time, be sure your hammy is securely in their enclosure. Hamsters do not get along with most common household pets, and that sometimes includes other hamsters. While many dwarf hamsters will welcome a friend, this second hammy must be spayed or of the same gender of the original hamster. Otherwise, it’s very hard to get hamsters to get along with dogs and cats. The same is true of pets like turtles, birds, snakes, guinea pigs, gerbils, and rabbits. For your hamster’s health, make sure you keep them away from other animals and let them live alone. They’ll be happiest this way. 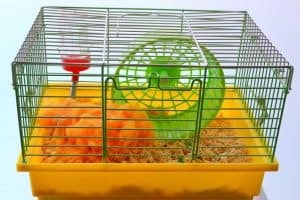 How Often Should You Clean a Hamster’s Cage? What’s the Best Bedding for Your Hamster’s Cage?